July 16th 2017 is a significant and important date in the history of our school and the parish of Rahan. It is the 200th anniversary of the arrival of the Presentation Sisters in Rahan. 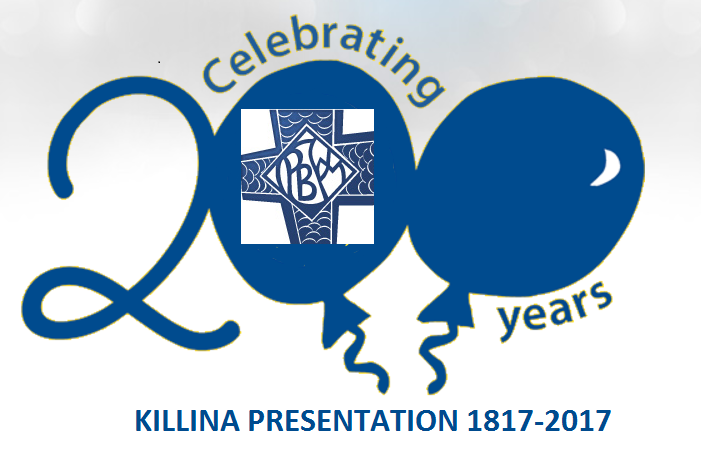 Killina Presentation Secondary School is the lasting piece of Presentation Education in Rahan, we remain committed to their legacy and ethos. We are delighted to form part of what plans to be a community celebration of two centuries of service. Please see the schedule of events for this September. Join with us at any of the events to make this a memorable celebration.